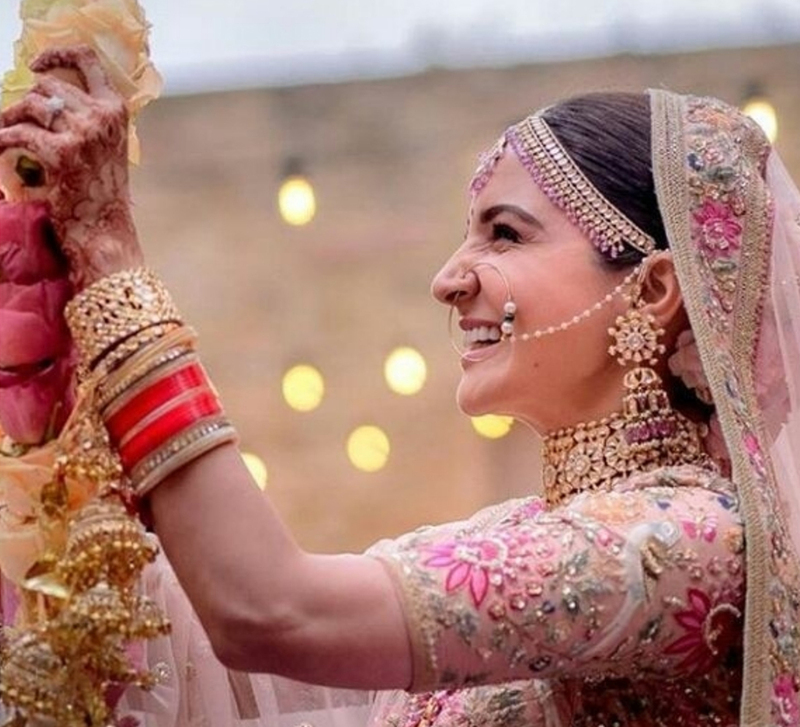 Deepika and Ranveer did a great job at keeping their wedding in Italy under wraps, and had millions of fans clicking their smartphones furiously to examine the two official photos of the ceremonies which the couple released. One dazzling detail that caught our eyes was the sparkling square-cut solitaire that Deepika wore on her ring finger for the Sindhi wedding ceremony. It was her engagement ring and one of the four that she wore on her left hand that day. Although the source or store from where Ranveer got the dazzler has not been revealed as yet, it is estimated that he spent between INR 1.3 to 2.7 crore for this precious creation.